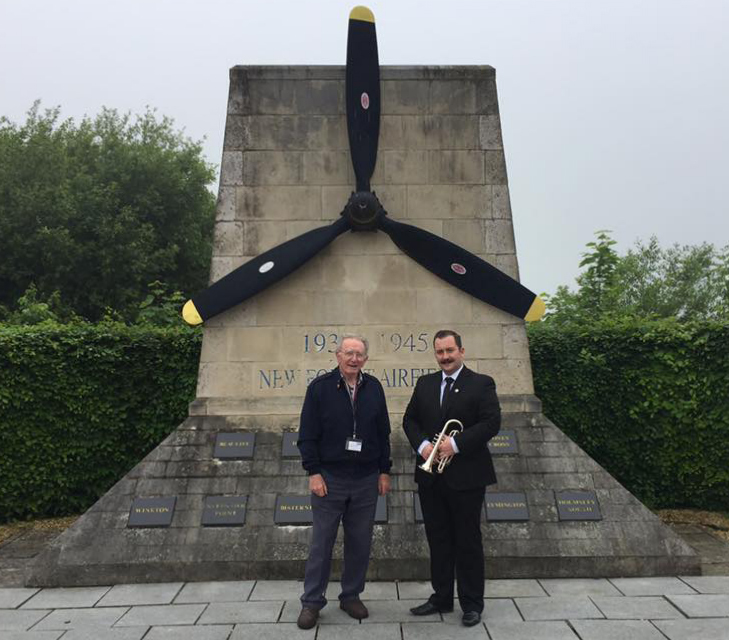 On Monday 29th May, US Memorial Day, the fallen United States Air Force servicemen and women were remembered at the New Forest Airfields Memorial by a small group of FONFA Members, with the playing of ‘Taps’ at 3 p.m. The group was led by FONFA Trustee, John Brooks, and ‘Taps’ was played by James, a volunteer member of the Christchurch and District Band. Around 20,000 United States Air Force service personnel served on the New Forest airfields in World War II, during the period leading up to the invasion of France in June 1944, which was the springboard for the eventual defeat of Adolf Hitler’s Third Reich. FONFA continues to honour this commitment, by our care for the Memorial and through the exhibits in the new Museum, both at our Open days and in our Annual Service, which will be held on Sunday 25th June at the Memorial at 2 p.m.